“We had to drop some redundant divisions, but there is something for everyone over the nine days of competition; from unrecognized to C-rated to AA-rated: We have it all,” said Tucker Ericson, who has taken over the show’s management for the Junior Essex Troop. 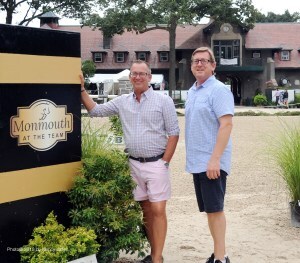 Tucker knows what he’s doing, having masterminded the move of the Monmouth County Horse Show from the Horse Park of New Jersey to the foundation’s grounds in 2016. As is the case with Monmouth, spectators will not be charged admission. “We want the community to come out and enjoy and support the vendors and first class competition,” said Tucker. Garden State is different from Monmouth, in that it goes up to the AA (Premier) rating and has a $25,000 grand prix by EquiJet. The AA show is, however, preceded by a separate show that is not recognized and offers such classes as 2-foot hunter, leadline and a $10,000 hunter derby. 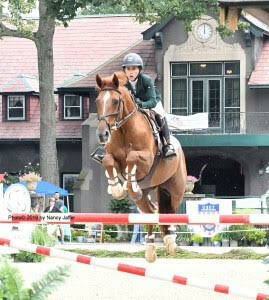 The Junior Essex Troop Show began in 1951 and was the largest all-junior show in America until 1972, when it became an open show. It was held at the Junior Essex Troop Farm in West Orange until that was sold. It moved to Chester for several years before it grew too big for Chubb Park and was relocated to the Sussex County Fairgrounds. The Junior Essex Troop of Cavalry originally was composed of boys ages 11-18, who were proud to wear a uniform as they learned military drilling and discipline, along with riding and horse care. The troop bond was so strong that even though the organization stopped daily operations in 1989, those who participated remain on the committee, chaired by Rodney Seelig, and as volunteers for what has become an annual reunion. Entries close April 15. Click here for a link to the prizelist.